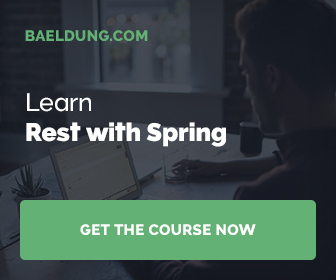 Spring Boot Actuator offers an additional feature which is a strategy for the MVC layer on top of an Endpoint through org.springframework.boot.actuate.endpoint.mvc.MvcEndpoint interfaces. 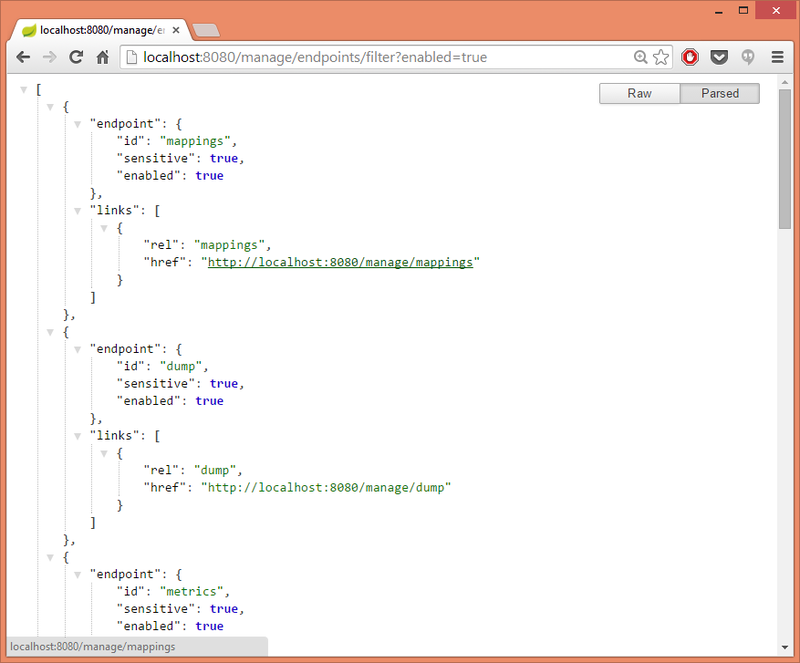 The MvcEndpoint can use @RequestMapping and other Spring MVC features. Please note that EndpointsEndpoint returns all available endpoints. But it would be nice if user could filter endpoints by its enabled and sensitive properties. The EndpointResource will contain a link to each enabled endpoint. Note, that the constructor takes a managamentContextPath variable. This variable contains a Spring Boot Actuator management.contextPath property value. Used to set a prefix for management endpoint. But why not returning the resource directly from EndpointsEnpoint? 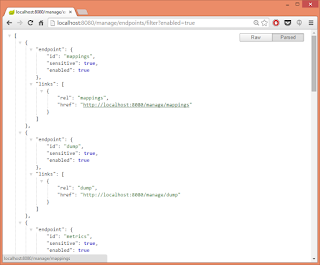 In EndpointResource a UriComponentsBuilder that extracts information from an HttpServletRequest was used which will throw an exception while calling to MBean’s getData operation (unless JMX is not desired). "message": "This endpoint is disabled"
The next step could be adding a user interface for custom (or existing) endpoints, but it is not in scope of this article. If you are interested you may have a look at Spring Boot Admin that is a simple admin interface for Spring Boot applications. 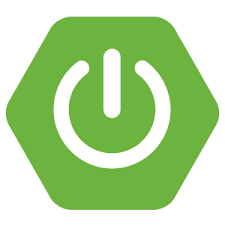 Spring Boot Actuator provides all of Spring Boot’s production-ready features with a number of built-in endpoints. With minimal effort custom endpoints can be added to extend monitoring and management capabilities of the application.